In yet another exercise of power, motorcycle clubs are having their clothing chosen for them by rally coordinators at the hands of our United States Government. Because the U.S. Department of Justice has made a list of Outlaw Motorcycle Gangs, rally coordinators for the STREET VIBRATIONS® FALL RALLY have issued a NO CLUB COLORS policy. The actions of a few individuals affect hundreds of thousands of motorcycle club members, riding club members, as well as millions of motorcycle riders worldwide. 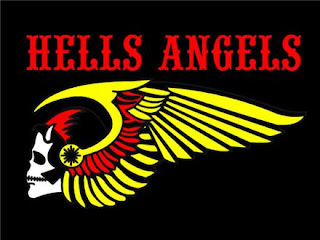 NO CLUB COLORS Due to events which have occurred at recent motorcycle rallies, we feel obligated, in the interest of our attendees, to prohibit the display of colors affiliated with Outlaw Motorcycle Gangs as defined by the U. S. Department of Justice. Persons displaying these club colors at Street Vibrations® Reno and Sparks venues and participating sponsor properties will be asked to conceal them or exit the event. Your cooperation is appreciated. STREET VIBRATIONS® FALL RALLY will be held September 25 - 29, 2013 in Reno, Sparks, Virginia City, Carson City downtown, NV. The rally is entitled Music, Metal and Motorcycles and is the Street Vibrations 18th Annual Event. Banning colors is nothing new for rallies, nor is having the U. S. Department of Justice define a group of individuals based on the government's agenda. According to their website, "There are more than 300 active OMGs within the United States, ranging in size from single chapters with five or six members to hundreds of chapters with thousands of members worldwide." Riding a motorcycle with friends may be all one needs to do to end up on this OMG list.